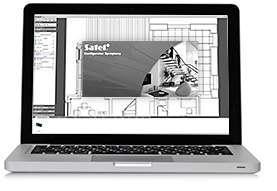 Utility programs offered by SATEL consistently complement the offer of devices used to create intrusion detection, access control and monitoring systems. They facilitate everyday activities performed by SATEL systems installers and administrators ensuring easy device configuration, system diagnostics or archiving vital data. Thanks to the fact that they use the Windows operating system environment, their operation is convenient and intuitive. This group includes programs whose main task is to facilitate system configuration and commissioning. 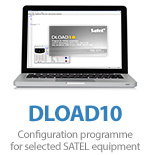 Depending on the device type, an installer may select the DLOADX program (INTEGRA and VERSA control panels plus accessories) or DLOAD10 program (CA control panels, GSM communication modules or an independently operating ACU-100 wireless controller). For configuration of alarm systems based on PERFECTA control panels, PERFECTA Soft was developed. 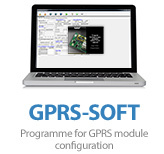 As far as GPRS communication modules and MICRA modules are concerned, GPRS-SOFT is the best tool. 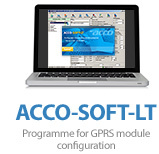 A similar range of functionality for the ACCO access control system is offered by ACCO-SOFT-LT.
Apart from configuration capabilities for devices included in a system, each program offers basic diagnostic tools streamlining activities connected with periodical maintenance and possible troubleshooting. For the majority of SATEL's devices it is possible to update their software. Thanks to this, their users gain access to new functions, which may be convenient in case a system is to be extended in the future. Most of all, this group of programs includes FLASHX supporting control panels from the INTEGRA family, ACCO-FLASH for updating access control systems and the whole range of programs dedicated to individual devices. 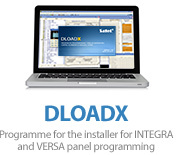 The GUARDX program is a unique solution aimed at INTEGRA control panels enabling the system real-time visualisation and management features. Apart from ongoing graphic display of detailed system status information and granting access to the control panel events register, GUARDX may also make system control functions available. These features make GUARDX an ideal solution for a "control centre" for physical protection of a guarded facility. Mobile applications have been designed to enable SATEL systems users to take full advantage of capabilities offered by various devices. INTEGRA CONTROL enable remote control of INTEGRA control panels fitted with ETHM-1 or ETHM-1 Plus communication modules by means of mobile phones, smartphones or tablets. 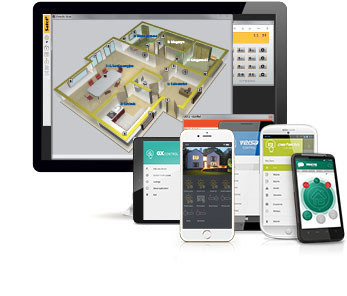 The VERSA CONTROL application enables remote management of the alarm system based on the VERSA and VERSA Plus control panel. 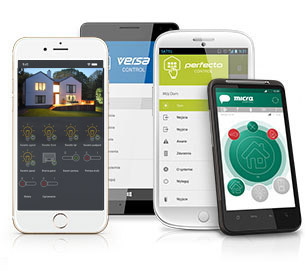 For the users of PERFECTA alarm systems, PERFECTA CONTROL application was developed. 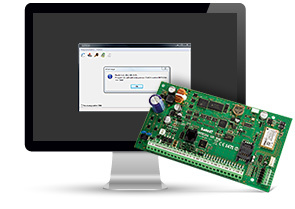 The MICRA CONTROL application provides basic remote operation of the MICRA alarm module. 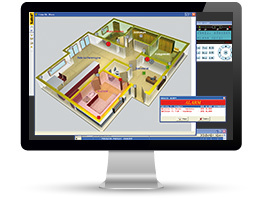 The CONFX configuration utility is a unique tool facilitating activities performed by alarm systems designers. It enables them to prepare a professionally completed installation design which takes event the slightest details into account. CONFX makes it possible not only to select devices and define their positions, but also supports designers in the process of creating the current balance of an installation. When the design stage is completed, the application allows to elaborate an offer for a Client including a comprehensive price estimate for system implementation.